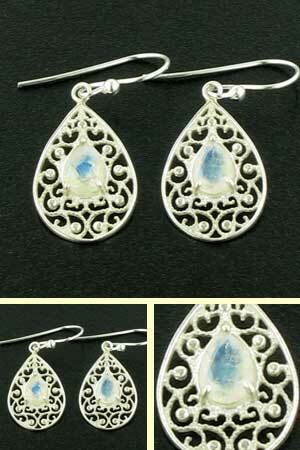 Faceted moonstone earrings claw set into an intricate filigree tear drop. 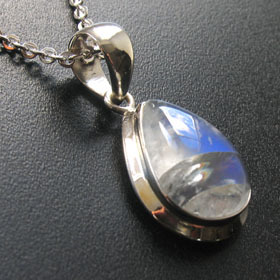 These moonstones look wonderful against the bright sterling silver. The gemstones glow with electric blue light - known as schiller - and the facets sparkle as the earrings move. These pretty moonstone earrings look great teamed up with Dee moonstone necklace.